A new UC Berkeley study, co-authored by Northwestern University's Claudia Haase, shows those prickly disagreements that can mark the early and middle years of marriage mellow with age as conflicts give way to humor and acceptance. Researchers analyzed videotaped conversations between 87 middle-aged and older husbands and wives who had been married for 15 to 35 years and tracked their emotional interactions over the course of 13 years. They found that as couples aged, they showed more humor and tenderness towards one another. Consistent with previous findings from Levenson’s Berkeley Psychophysiology Laboratory, where Haase was a postdoctoral fellow, the longitudinal study found that wives were more emotionally expressive than their husbands, and as they grew older they tended toward more domineering behavior and less affection. But generally, across all the study’s age and gender cohorts, negative behaviors decreased with age. “Given the links between positive emotion and health, these findings underscore the importance of intimate relationships as people age and the potential health benefits associated with marriage,” said co-lead author Alice Verstaen, who conducted the study as a PhD student at UC Berkeley and is currently a postdoctoral fellow at the VA Puget Sound Health Care System. Haase, assistant professor of human development and social policy, directs the Life-Span Development Lab at Northwestern. Her research examines age-related changes, sources, and consequences of individual differences in emotion and motivation across the lifespan in individuals and couples. 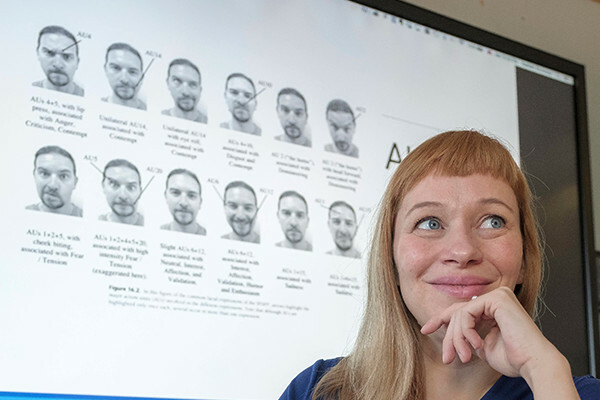 Learn more about her research in the feature "The Science of Emotions."